Editor's note: The author served as defense counsel in Detrick v. Burrus. It is well settled that "the purpose of ... civil trials is to discover the truth" of the claims and defenses presented by the parties, as the court held in Bailey v. Tucker, 621 A.2d 108, 113 (Pa. 1993). It is equally well settled that, in the search for the truth at trial, it is for the jury to determine the credibility of the witnesses, including expert witnesses, along with the weight to be given to the testimony of any witness presented, as in Ludmer v. Nernberg, 640 A.2d 939, 942 (Pa. Super. 1994). The most important tool provided to a litigant to test the credibility of parties, witnesses and expert witnesses at trial, and thereby challenge the truth of the adversary's claims, is the right to conduct a thorough and cutting cross-examination. Given the adversarial nature of trials, issues often arise pertaining to the extent to which a witness can be cross-examined. Recent cases reviewed below confirm that there are indeed some limits to efforts to attack the credibility of both lay and expert witnesses at trial. Pennsylvania Rule of Evidence 607(b) provides the general rule that "the credibility of a witness may be impeached by any evidence relevant to that issue, except as otherwise provided by statute or these rules." Two recent court decisions illustrate the extent to which a court may limit the scope of a cross-examination of a lay witness or party, as well as the cross of an expert witness, at trial. In his recent detailed order issued in the case of Detrick v. Burrus, No. 2011 CV 1333 (C.P. Lacka. Co. Feb. 23), Lackawanna County Court of Common Pleas Judge Terrence R. Nealon addressed a motion in limine filed by the plaintiff, Lori Detrick, in an automobile accident suit seeking to preclude evidence of a post-accident drug screen ordered by Detrick's treating doctor which contained a positive result for marijuana use. Given that Detrick had denied any marijuana use under oath at her deposition, the defense planned to cross-examine her with respect to a urine drug test that was positive for marijuana, to attack her credibility as part of the overall search for the truth of the claims and defenses asserted by the parties at trial. Citing Pennsylvania Rules of Evidence 401 and 403, pertaining to relevancy, Detrick contended that any evidence of the drug test was inadmissible because it was irrelevant and unduly prejudicial. In addition to being relevant to attack the credibility of Detrick, who denied marijuana use under oath at her deposition, the defendant, Deidre Burrus, separately asserted that the evidence of the urine drug screen tests ordered by Detrick's post-accident doctor was also relevant to show that her own post-accident treating providers had serious concerns as to her use of prescription narcotic medications, such that the doctor felt it necessary to order a drug screen before prescribing medications to her. In his opinion, Nealon noted that questions concerning the admissibility of evidence lie within the sound discretion of the trial court. In granting Detrick's motion in limine to preclude this evidence, the court relied upon the law that a witness may not be impeached or contradicted on a "collateral" matter. Nealon noted that it is a well-settled principle of Pennsylvania law that "the purpose of trial is not to determine the ratings of witnesses for general veracity." The court reasoned that the Pennsylvania appellate courts have repeatedly held that "no witness can be contradicted on everything he testifies to in order to 'test his credibility.'" The court in Detrick also more specifically cited to a criminal court case holding that "general questioning concerning the use of drugs does not bear on the witnesses' 'character for truth.'" The court also found that, even if such evidence was somehow relevant, this evidence was inadmissible under Rule 403, since its probative value was outweighed by the danger of unfair prejudice to Detrick. The case, which was not appealed, therefore supports the notion that the permissible scope of a cross-examination of a party or lay witness is not unlimited. As noted below, the same rule prohibiting the cross-examination of a witness on collateral matters was recently applied in the context of expert witnesses. By way of background, a few years back, a hot trend in Pennsylvania civil litigation matters involved the extent to which parties could discover information as to the extent of litigation-related activity by, and compensation for, opposing expert witnesses. Such discovery was gathered to be utilized at trial to expose experts as biased witnesses, or "hired guns," for the opposing side. Over the years, since the handing down of appellate court decisions in Cooper v. Schoffstall, 905 A.2d 482 (Pa. 2006), and Feldman v. Ide, 915 A.2d 1208 (Pa. Super. 2007), allowing such discovery in limited circumstances, litigating attorneys gathered a treasure trove of such bias information pertaining to experts. Attorneys on both the defense and the plaintiffs side of the bar have amassed and shared such information on various experts, to the point that the information has become quite extensive with respect to certain experts. Now that such voluminous discovery of litigation-related activity and compensation has been gathered on certain experts, the question has become to what extent all that information can be fairly utilized to cross-examine an expert at trial. In its recent decision in Flenke v. Huntington, 2015 Pa. Super. 50, 467 MDA 2014 (March 17, 2015), the Superior Court ruled on the extent to which an expert may be cross-examined at trial with such large quantities of bias information discovered on that expert. The Flenke case arose out of a motor vehicle accident. The question presented centered around the plaintiff's cross-examination of the defense's independent medical expert. The Superior Court ruled that, while expert witnesses may generally be impeached for bias, including frequent work for the same side in litigation, there are limits to such cross-examination imposed by the law. Under the well-established rule of law that holds that a witness cannot be cross-examined on collateral matters, the court in Flenke noted that even bias evidence can become too intrusive and so collateral, such that it should be limited, or even barred, at trial. In Flenke, the plaintiff was permitted to cross-examine the defense expert as to the compensation earned by the expert in the case at hand, as well as other cases, within a reasonable limitation. Yet, the Superior Court found that the plaintiff's effort to conduct a detailed review of the defense expert's 50 most recent reports involving other persons would have introduced collateral issues into the case. As such, this evidence was found to have been properly excluded by the trial court. The court in Flenke also ruled that cross-examination pertaining to the expert's work for the defendant's insurance company was properly excluded, as it would have introduced the impermissible topic of insurance into the case. Based upon the above cases, the extent to which the veracity of lay and expert witnesses can be tested at trial has some limitations. It appears that, under Pennsylvania law, while a witness can be exposed as a liar, liar, one cannot go so far as to symbolically light that witness' pants on fire. Judge Robert D. Mariani of the Federal Middle District Court of Pennsylvania ruled in Lane v. State Farm, No. 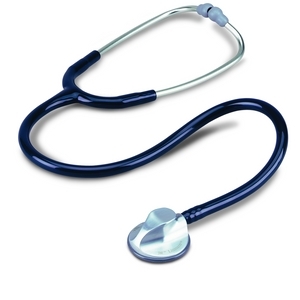 3-14-CV-01045 (M.D. Pa. May 18, 2015 Mariani, J. ), that the mental impressions of the carrier’s claims professionals recorded after the Plaintiff’s Complaint was filed, as well as notes of the carrier's auto evaluation which referenced the carrier's defense attorneys' mental impressions, were considered privileged information and were, therefore, not discoverable. Plaintiff's motion to compel was denied. In this matter, the carrier produced redacted documents from the claims file along with a privilege log. The Plaintiff filed a motion seeking an Order requiring that certain redacted portions of State Farm's privilege log to be revealed. The Plaintiff claimed, in part, that could not confirm whether the portions redacted by the carrier did constitute privileged information. The court ruled that the redacted portions did not have to be produced because the privileged nature of the documents were adequately described in the privilege log by defense counsel as an officer of the court. For example, the redacted pages were marked as billing invoices for legal services or letters between the carrier and its defense counsel. In ruling that the redacted portions need not be disclosed, the court noted that a hypothetical suggestion that representations made by a duly licensed attorney and officer of this court could be found to be utter fabrications is insufficient to carry plaintiff's burden in overcoming the privilege,. The court also rejected the Plaintiff’s request for an in camera review of the redacted portions by the court to confirm the propriety of the redactions by defense counsel. Rather, a party seeking such discovery must meet its burden of persuading the court that such documents are not protected from discovery under the particular facts of the case. In a recent Monroe County decision in the case of Smith v. Chelsea Pocono Fin. LLC, PICS Case No. 15-0602 (C.P. Monroe Dec. 29, 2015 Mark, J. 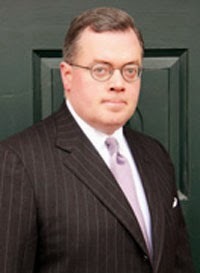 ), Judge Jonathan Mark of the Monroe County Court of Common Pleas granted summary judgment in favor of a landowner Defendant on the basis that the Plaintiff had failed to establish any evidence of actual or constructive notice of that Defendant of any defective condition on the stairway where the Plaintiff allegedly fell and was injured. According to a summary of the Opinion, the Plaintiff was injured while at The Crossings Premium Outlets in the Poconos. The Plaintiff was walking down a stairwell and slipped and fell, allegedly sustaining injuries. While the Plaintiff did not know what caused her to fall, her eyewitness husband testified that the Plaintiff slipped on a french fry or a hamburger bun fragment on the steps. Although the court found that the Plaintiff had presented evidence to establish a jury question as to the existence of a defective or dangerous condition of the stairwell, the court granted summary judgment after finding that the Plaintiff had not established that the Defendant had any actual or constructive notice of the condition that caused the fall. More specifically, the court found nothing in the record to suggest that the condition on the steps was traceable to the Defendants or their agents, or that the Defendant otherwise had any actual or constructive notice of the condition. The Plaintiff attempted to argue that the Defendant’s had actual notice because this type of defect occurred frequently on the premises. This argument was rejected under the Restatement (Second) of Torts §344 as that Section, and cases related thereto, inferring actual notice under a recurring situation scenario. Judge Mark noted that those decisions came to such a finding on the basis of recurring events or conditions that had caused harm to invitees in the past in an obvious fashion. In this Smith case, Judge Mark found that there was only an argument that the specific condition which allegedly caused the injury at issue had allegedly occurred generally in the past. Here, while there was evidence presented to show that food and other debris had been generally found on the property in the past, there was no allegation or proof that patrons slipping on food had become an epidemic on the premises. The court also rejected the Plaintiff’s claim that the absence of any cleaning or maintenance records was sufficient to deny and otherwise properly supported Motion for Summary Judgment. The court rejected this argument as an effort by the Plaintiff to improperly reverse the burden of proof and place it upon the Defendant. Lastly, the court also found that the Plaintiff had failed to offer any evidence as to how long the debris had been located on the steps, or that anyone had observed it prior to the Plaintiff’s incident so as to support an argument of constructive notice. The court also rejected the Plaintiff’s constructive notice argument on the basis that the debris/food on the step was crushed. The court otherwise found that the Defendant had exercised reasonable precautionary steps to prevent accidents, including the placement of a trash can within ten (10) feet of the stairway and repeated checking of the area, specifically around restaurants. Copies of this case are available by calling the Pennsylvania Instant Case Service of the Pennsylvania Law Weekly at 800-276-PICS and giving the above PICS Case Number and paying a small fee. In the recent decision in the case of Roma v. Finney, PICS Case No. 15-0641 (C.P. Northampton Co. Feb. 23, 2015 Beltrami, J. ), the trial court sustained a Defendant’s Preliminary Objections in an automobile accident matter and ordered that the words “reckless,” “recklessness,” and “recklessly” be stricken from the Complaint. The court noted that this matter involved a negligence cause of action arising out of a rear-end motor vehicle accident. In her Complaint, the Plaintiff alleged negligence and/or recklessness on the part of the Defendant caused the accident and injuries. Notably, the Plaintiff did not request punitive damages in the Complaint. The Defendant filed Preliminary Objections in the nature of a Motion to Strike impertinent matter pursuant to Pa. R.C.P. 1028(a)(2). As there were no facts plead in the Complaint to support the objected to language, and given that no claim for punitive damages was pled, the court granted the Preliminary Objections as allegations of recklessness were deemed to be immaterial to proving a negligence cause of action. Source: "Case Digests," Pennsylvania Law Weekly (April 28, 2015). In the case of Feld v. Primus Technologies Corp., No. 4:12-CV-01492, 2015 U.S. Dist. Lexis 55270 (M.D. Pa. April 28, 2015 Brann, J. ), Judge Matthew W. Brann of the Middle District Federal Court of Pennsylvania relied upon Fed.R.E. 703 in ruling that Defendants in tort litigation may utilize independent medical examinations of the plaintiff prepared in separate worker’s compensation proceedings. The court denied a Plaintiff’s Motion in Limine in this regard reasoning that, even if such IME reports may be arguably biased, IME reports are the kind of records that a medical expert would legitimately rely upon, i.e, the records of other doctors. 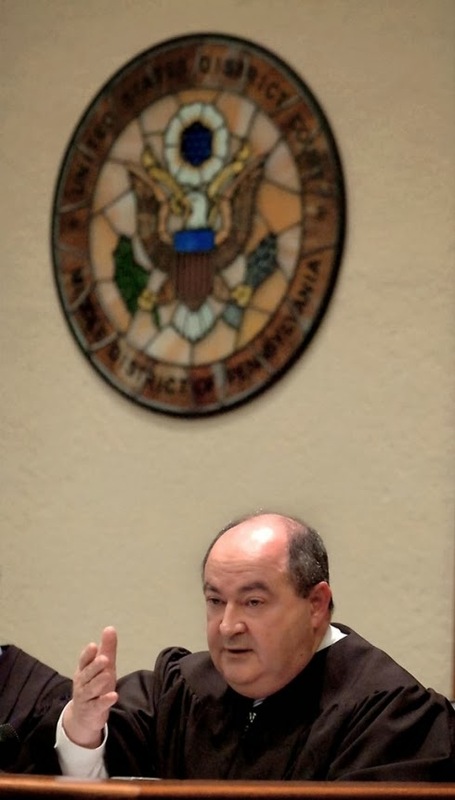 Judge Brann did emphasize, however, that while an expert may rely on IME reports, the expert’s opinion testimony must still satisfy the usual evidentiary requirements, such as the hearsay rule, before the opinion may be admitted into evidence. A copy of this decision by Judge Brann can be viewed online HERE. I send thanks to Attorney James Beck of the Philadelphia office of the Reed Smith law firm for bringing this case to my attention. 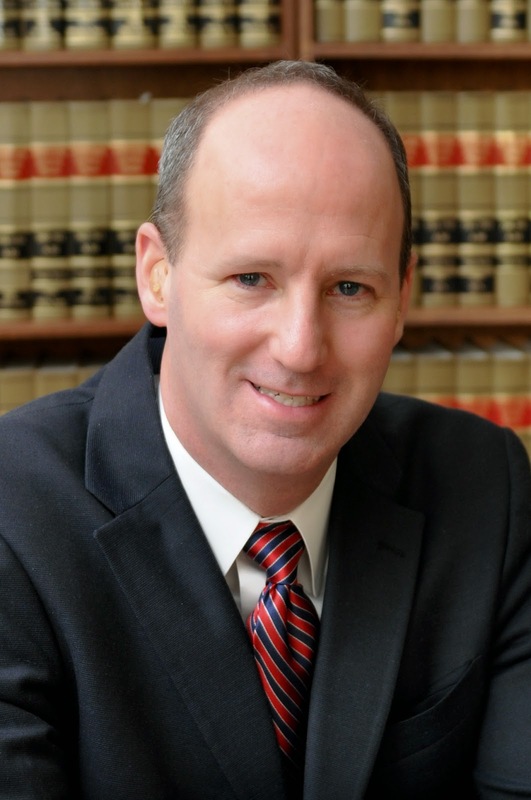 Please be sure to check out Attorney Beck’s excellent blog, The Drug and Device Law Blog HERE. In yesterday's Tort Talk, the Post-Koken case of Oaks v. Erie Ins. Exch. and Austin was reviewed in which the Dauphin County court agreed to bifurcate a retrial of a Post-Koken case against both a tortfeasor Defendant driver and the UIM carrier after the jury, through questions presented to the court during their deliberations, indicated that they were looking at the issue of the tortfeasor's liability insurance coverage in violation of Pennsylvania law. 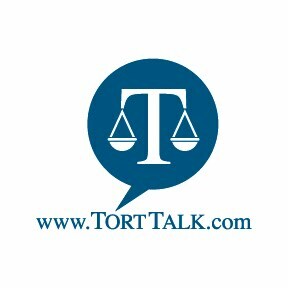 [Click HERE to review that Tort Talk post again and to access a link to the Order without Opinion]. Tort Talkers can click HERE to review the Jury Instructions utilized by the trial court in Oaks at the first trial which, as noted, ended in a mistrial when the jury began to focus on the issue of the tortfeasor's liability coverage. A review of these jury instructions show just how difficult it can be to craft appropriate jury instructions in a Post-Koken trial involving both the tortfeasor Defendant driver and the UIM carrier Defendant. In a recent Order without Opinion in the Post-Koken case of Oaks v. Erie Insurance Exchange and Austin, No. 2012 - CV - 3741 - CV (C.P. 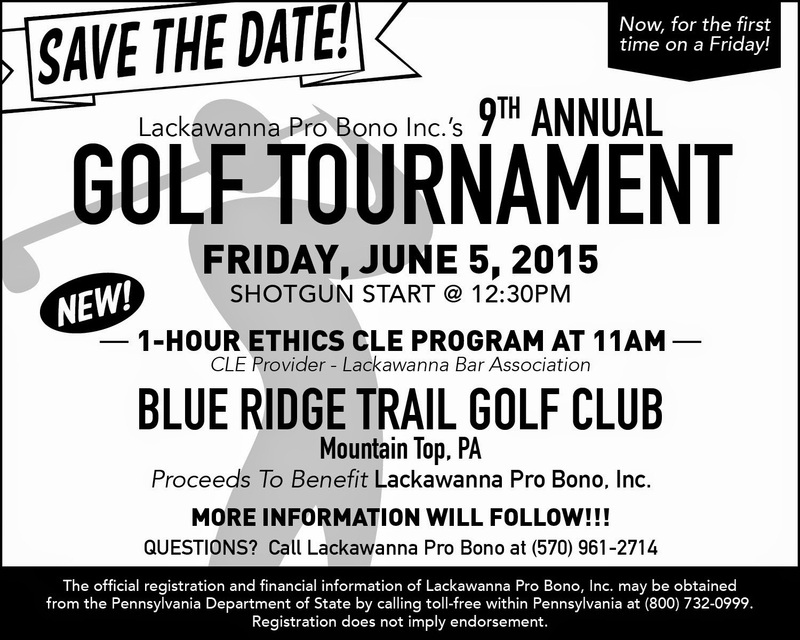 Dauphin Co. May 8, 2015 Bratton, J.) handed down after a mistrial in a matter, Judge Bruce F. Bratton of the Dauphin County Court of Common Pleas granted the tortfeasor Defendant's Motion for Reconsideration of the court's prior denial of the tortfeasor's Motion to Sever the negligence claims asserted against him by the Plaintiff from the Plaintiff's UIM claims against the carrier. According to information received on this case, the case proceeded through the pleadings and discovery phases in a consolidated fashion. A motion to sever the cases was originally filed shortly before the first trial and was denied. During jury deliberations after the first trial, the jury submitted a number of written questions that suggest that the jury was aware that the tortfeasor had insurance coverage and that the jury was focusing on matters that were asserted to be prejudicial to the Defendants. As such, Judge Bratton granted a motion for a mistrial. The Motion for Reconsideration which is the subject of this Oaks decision was filed after the mistrial. This Motion for Reconsideration was granted and in that Order the court held that the negligence claims asserted by the Plaintiff against the Defendant would be severed, for the purposes of the retrial of this matter, from the UIM claims against the carrier Defendant. In other words, the retrial of this matter was held to proceed in a bifurcated fashion with one trial on the negligence claim against the tortfeasor, and a separate trial on the UIM claim against the carrier. Unfortunately no rationale or reasoning behind this decision in contained in the court's Order. Anyone wishing to review this decision, may click HERE. I send thanks to Attorney John A. Statler of the Lemoyne, PA law office of Johnson, Duffie, Stewart & Weidner for providing me with a copy of this decision. A review of the Post-Koken Scorecard on www.TortTalk.com confirms that there is a split of authority within the trial court decisions out of Dauphin County on the issue of consolidation versus severance of Post-Koken cases from the pleadings and discovery phases of a case. This more recent Oaks v. Erie Ins. Exchange case summarized above confirms that at least one Dauphin County Judge has ruled that a Post-Koken case should be bifurcated into two separate trials, i.e. one trial on the negligence claims against the tortfeasor Defendant, and a separate trial on the UIM claim against the carrier. The Post-Koken Scorecard on www.TortTalk.com confirms that, to date, there is a split of authority amongst the trial courts on whether or not to bifurcate a Post-Koken case for trial. The only appellate case, to date, to comment on this bifurcation of trial issue is the Stepanovich v. McGraw and State Farm case, the Tort Talk blog post on which can be viewed HERE. My Pennsylvania Law Weekly article reviewing that Stepanovich case can be viewed at this LINK. In its recent decision in the case of Liberty Mut. Ins. Co. v. Dotmar Paper Co., 19 WAP 2014 (Pa. April 27, 2015)(Maj. Op. by Baer, J. )(Saylor, C.J., Dissenting), the Pennsylvania Supreme Court addressed the right of an employer, and/or the employer's worker's compensation carrier, to pursue a subrogation claim directly against a third party tortfeasor when the injured employee has not filed a claim against the tortfeasor or assigned his or her right to do so to another. According to the Opinion, the injured employee was in the scope and course of his employment with Schneider National slipped and fell in the parking lot of the tortfeasor Defendant Dotmar Paper Company. The employee was allegedly injured and was paid worker's compensation benefits by his employer's worker's compensation carrier. When the injured employee did not sue the landowner, or otherwise assign his right to sue to anyone, the worker's compensation carrier took it upon itself to sue the landowner, seeking to recover the worker's compensation benefits it paid out to the injured employee. The landowner defendant filed a demurrer essentially arguing that the worker's compensation carrier had no standing to bring such a suit under the law. Both the Elk County trial court and the Pennsylvania Superior Court ruled that Section 319 of the Worker's Compensation Act did not permit such a claim and the insurer appealed. The Pennsylvania Supreme Court affirmed the Superior Court's decision. The Pennsylvania Superior Court reaffirmed the rule that, under Section 319 of the Worker's Compensation Act, a right of action is granted to the injured party employee. The Court held that the employer's/worker's comp insurer's right of subrogation pursuant to Section 319 must be asserted through a single action brought in the name of the injured employee or included in any claim brought by the injured employee against the tortfeasor. In this matter, the injured employee never pursued a case and the Pennsylvania Supreme Court ruled that the employer and/or the worker's compensation carrier could not otherwise pursue any subrogation claim for worker's compensation benefits paid out to the injured employee related injuries caused by the tortfeasor. The Majority Supreme Court Opinion can be viewed HERE. Chief Justice Saylor's Dissent can be viewed HERE. Madame Justice Todd's Dissent can be viewed at this LINK. Post-Koken auto law cases, with combined UM/UIM and third party claims, as well as auto lawsuits solely against UM/UIM carriers are finally starting to reach the trial stage on a regular basis. As a result, more and more transcribed voir dire proceedings and jury instructions are being preserved. Below are a few samples recently secured. For a sample voir dire from a February, 2015 Post-Koken auto law trial in Susquehanna County against an uninsured third party tortfeasor (who did not appear for trial) and an uninsured (UM) carrier in the case of Strohl v. State Farm and Olmstead click HERE. Interestingly, during this voir dire, some of the potential jurors in the jury pool talked favorably about their experience with insurance companies, most were non-committal (silent), and at least one ripped insurance companies in light of a prior bad experience. To view the Jury Instructions crafted by Senior Judge S. Gerald Corso in the above-referenced February of 2015 Susquehanna Post-Koken Trial involving an uninsured tortfeasor Defendant (who did not appear but remained on the caption) and a UM carrier Defendant, click HERE. To view a transcribed copy of the Jury Instructions utilized by Judge Arthur Zulick in the Monroe County case of Comrie v. Atlantic States Ins. Co., click this LINK. Judge Zulick handed out a copy of these instructions to the litigating attorneys involved. I send thanks to Attorney Rob Smith of the Moosic, PA office of Marshall, Dennehey, Warner, Coleman & Goggin for providing a copy of these instructions. For anticipated jury instructions crafted by Judge Terrence R. Nealon in a case that was later settled just prior to trial and which involved both a tortfeasor defendant and a UIM carrier defendant, see the court's April 15, 2015 Opinion in the case of Kujawski at this LINK. For anticipated jury instructions drafted by Judge Terrence R. Nealon for a case in a matter involving UIM carrier defendant only (i.e., the plaintiff had previously secured a settlement with the tortfeasor Defendant), see the court's November 10, 2014 Opinion in the Moritz case at this LINK. In the case of Harrison v. Haueisen, PICS Case. No. 15-0607 (C.P. Lycoming Co. April 2, 2015 Gray, J. 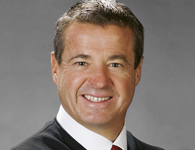 ), Judge Richard Gray of the Lycoming County Court of Common Pleas denied a Defendant’s Preliminary Objections to a Plaintiff’s Complaint in a dog bite case. According to the Opinion, the Plaintiffs were allegedly injured when they were injured attacked by a dog while walking on the sidewalk of a public street. No provocation by the Plaintiffs was indicated. In their Complaint, the Plaintiffs alleged that the dog had previously bitten a child, that the Defendant owner knew or should have known that the dog had dangerous propensities, and that neighbors had previously complained to the Defendant about their failure to restrain the dog and about the dog’s alleged vicious propensities. Moreover, it was alleged that, shortly before the incident, a complaint was made to the Williamsport Police about a separate dog biting incident. The Defendant owner filed Preliminary Objections in the form of a demurrer based upon an alleged violation of the dangerous dog law. The second preliminary objection was a demurrer to the punitive damages claim. The court rejected the Defendant’s arguments that a violation of the Dangerous Dog Law did not amount to negligence per se. To the contrary, the court ruled that the Pennsylvania Superior Court had previously held that an unexcused violation of a statute constitutes negligence per se. As such, taking the Plaintiff’s factual allegations as true as required by the standard of review, the court concluded that a violation of the Dangerous Dog Law could form the basis for a liability finding. As such, this initial Preliminary Objection was denied. However, the court emphasized that, liability in this respect was not absolute as the negligence per se doctrine did not impose strict liability. Rather, the Plaintiff still had to prove causation and the extent of damages. With regards to the demurrer to the claims for punitive damages, the court found that the Plaintiff had pled sufficient facts to support that claim. The Plaintiff asserted that the Defendants had a subjective appreciation of the risk of harm to which the Plaintiffs were exposed and that the Defendants acted or failed to act in a manner that showed a conscious disregard of that risk. Accordingly, this claim was allowed to proceed. Anyone wishing to review this Harrison decision may click this LINK. I have worked out the kinks in the "Search" Box located in the right hand column on the Tort Talk Blog at (www.TortTalk.com). Please feel free to utilize that "Search" Box to try to track down issues you may recall previously reading in a Tort Talk blog post. Another good tool on Tort Talk to go revisit previous issues is to go to Tort Talk and scroll all the way down the right hand column to the "Labels" and click on whatever Label matches your topic ("Limited Tort," "Future Medical Expenses," etc.). Also, please don't hesitate to email me at dancummins@comcast.net for assistance in locating anything on Tort Talk--I'd be happy to help out. In its recent decision in the case of Rourke v. Penn. Nat. Mut. Cas. Ins. Co., No. 1028 MDA 2014 (Pa. Super. April 28, 2015 Mundy, Stabile, Fitzgerald, J.)(Op. by Mundy, J. )(Fitgzerald, J., concurring), the Pennsylvania Superior Court addressed the issue of whether a foster child was a "family member" of his foster parents' household under the terms of an automobile insurance policy. According to the Opinion , the person at issue had been a foster child but, ten days before the subject accident, his status as a "dependent child" had been terminated because he was over the age of 18 and was not enrolled in college. The terms 'ward' and 'foster child' were not defined in the policy. Reviewing the record before it, the Superior Court ruled that the person at issue was indeed a 'ward' at the time of the crash. The court also ruled that, in any event, the term 'ward' as used in an insurance contract with no further definition is an ambiguous term as it is a term susceptible to more than one interpretation. The court followed the well-settled rule that ambiguous terms in auto insurance policies are to be construed in favor of the insured. The Superior Court in Rourke also found that there was a genuine issue of material fact to be decided by the jury on the question of whether or not the injured insured party had a reasonable expectation of coverage under the circumstances. Accordingly, coverage was afforded to the foster child under the policy. I send thanks to Attorney Matthew S. Crosby of the Harrisburg, PA office of Handler, Henning & Rosenberg LLP (Attorney Rosenberg of that office represented the injured party insured), as well as to Attorney Scott Cooper of the Harrisburg, PA law firm of Schmidt Kramer for bringing this case to my attention. In his recent decision in the case of Giambalvo-Blaha v. CBH2O LP, PICS Case No. 15-0465 (C.P. Monroe Co. Jan. 16, 2015 Zulick, J. ), the court ruled that a Defendant landowner, CBK Mountain Adventures was entitled to summary judgment in a slip and fall matter. According to the summary of the Opinion, the Plaintiff was injured as she slipped and fell on a rocky, hilly path that lead to an area of the premises where a zip line was offered. Judge Arthur L. Zulick noted that although the landowner had a duty of care to a business invitee that required the landowner to protect the invitee from foreseeable harm, a possessor of land was not liable to an invitee for physical harm caused by any condition on the land whose danger was known or obvious to the Plaintiff, unless the possessor of land should have anticipated the harm despite such knowledge or obviousness. In this matter, the court found that the danger was obvious when both the condition and the risk were apparent to and would be recognized by a reasonable visitor using normal perception, intelligence, and judgment. The record in this matter established that the condition of the rocky and hilly path was obvious to a reasonably attentive guest. The court also noted that pictures established that the Plaintiff could have avoided the areas of larger rocks if she had been uncertain of her footing. Since the court concluded that the Defendant landowner reasonably could have expected that its invitees would have recognized the dangers posed by the rocky surface and could have avoided stepping on loose or unstable stone, the landowner had no duty to protect the Plaintiff from the conditions that allegedly lead to her fall and injury. Accordingly, summary judgment was entered. I do not have a copy of this decision. Anyone wishing to secure a copy of the same may contact the Pennsylvania Instant Case Service of the Pennsylvania Law Weekly at 1-800-276-7427 and pay a small fee. Summary Judgment was granted in a recent Monroe County decision by Judge Stephen M. Higgins in the premises liability case of Zangenberg v. Weis Markets, No. 10500 CV 2012 (C.P. Monroe Co. April 1, 2015 Higgins, J.). The Plaintiff alleged personal injuries as a result of a slip and fall on the defendant's premises. The Defendant filed a motion for summary judgment asserting that it had no actual or constructive notice of the alleged dangerous condition. The Plaintiff asserted that she had met her burden of proof by pointing to issues with the application of wax to the floor of the store and/or with allegations of wax buildup rendering the floor slippery. Judge Higgins disagreed, noting that that the Plaintiff had not produced evidence to show that an improper application of wax to the floor that created a dangerous condition so obvious as to amount to evidence from which an inference of negligence would arise. As an example of a different type of case where summary judgment should be denied, the court pointed to a situation of a wax buildup on a floor such that there was evidence of a skid mark by the heel of a shoe through the wax that raised sides up as if the shoe was sliding through mud. Here, the court noted that the evidence only involved a black skid mark but there was no other concrete evidence to establish that that skid mark was caused by the Plaintiff's shoe at the time she fell. After the Plaintiff's fall, neither the Plaintiff nor any store employee saw any evidence on the floor as to what caused the Plaintiff to fall. The Plaintiff simply testified that it was slippery in the area where she fell. However, the court saw no evidence that would have raised an inference that the store knew or should have known that the floor was slippery in the time leading up to the Plaintiff's incident. As such, the defense motion for summary judgment was granted. I send thanks to the prevailing defense attorney Meg Kelly, Esquire, of the Moosic, PA office of the Marshall, Dennehey, Warner, Coleman & Goggin law firm. The most recent Facebook Discovery decision comes in the form of an Opinion by a Western District Federal Magistrate in the case of In re Milo's Kitchen Dog Treats Consolidated Cases, No. 12-1011 (W.D.Pa April 14, 2015 Kelly, P.J.). The Federal Magistrate Judge denied a Defendant's motion to compel unfettered and complete access of the Plaintiff's profile page along with a disclosure of the Plaintiff's user name and password. 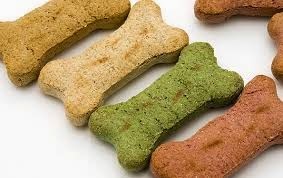 The case arose out of claims that the Defendant's dog treats had caused a fatal illness in the Plaintiff's dog. The defense asserted that it had made a predicate showing allowing it access to the private pages of the Plaintiff's Facebook profile by establishing that the Plaintiff had commented online that another manufacturer had made the treats. The Plaintiff did not contest that the defense had made the requisite predicate showing and responded by producing 648 pages from her Facebook profile, with redactions. Noting that it believed that the Plaintiff had been liberal with her redactions, the court rejected the defense contention that it was entitled to complete access of the private pages of the Facebook profile once a predicate showing was made. While the defense motion to compel was denied, the court did note that it would review one of the redactions made in an in camera session. Anyone wishing to review this most recent Facebook Discovery decision may click this LINK. I send thanks to Attorney Neil O'Donnell of the O'Donnell Law Offices in Kingston, PA for bringing this case to my attention. 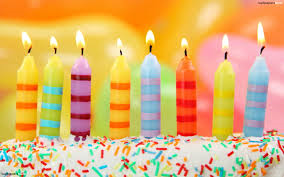 Here is a LINK to my very first blog post back on May 4, 2009 in which I noted a hope to provide informative and, at times, entertaining content--I hope that I have been successful in that regard. 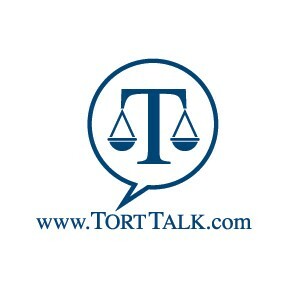 Thanks again -- very much -- for reading Tort Talk. I appreciate it. 12:00 pm - 1:00 pm - "Lessons from Forrest Gump"
In a recent memorandum, "non-precedential" decision in the case of Gordon v. JFBB Ski Areas, Inc., (Pa.Super. Feb. 13, 2015 Lazarus, Wecht, and Strassburger, J.J.)(mem. op. by Wecht, J. ), the Pennsylvania Superior Court addressed the test of proper venue for a corporate defendant based upon the analysis of where the Defendant corporation conducted business in the Commonwealth. Applying Pa.R.C.P. 2179 and related case law, Judge Wecht's Opinion in Gordon, albeit marked "non-precedential," could serve as a good starting point for a review of the current status of the law in this regard. The court ultimately ruled that incidental advertising activities by a ski resort, even if such activities resulted in a small percentage of sales in a certain jurisdiction did not constitute sufficient contacts to justify venue in a certain county. In this matter, the court ultimately affirmed the Philadelphia County trial court's sustaining of a Defendant's Preliminary Objections asserting improper venue and transferring a personal injury matter from Philadelphia County to Carbon County where the Defendant ski resort was located and where the Plaintiff was injured.